Definition at line 63 of file llimage.h. Definition at line 52 of file llimage.h. Referenced by LLTextureFetch::createRequest(), LLTextureFetchWorker::doWork(), LLTextureFetch::getFetchState(), and LLTextureFetch::receiveImageHeader(). Definition at line 42 of file llimage.h. 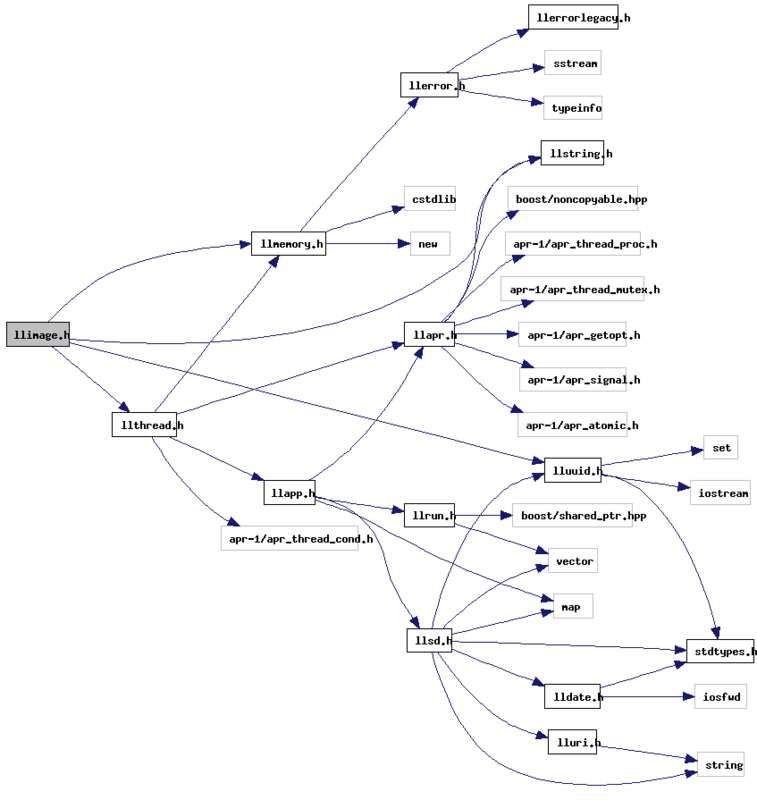 Referenced by LLViewerImage::calcDecodePriority(), LLImageJ2C::calcDiscardLevelBytes(), LLImageRaw::createFromFile(), LLTextureFetch::createRequest(), LLViewerImage::doLoadedCallbacks(), LLVLComposition::generateComposition(), LLVLComposition::generateTexture(), LLViewerImage::init(), LLImageGL::init(), LLVOAvatar::LLVOAvatar(), LLVOAvatar::onFirstTEMessageReceived(), LLViewerImage::processTextureStats(), LLVOAvatar::setLocalTexture(), LLImageGL::setSize(), and LLViewerImageList::shutdown(). Definition at line 47 of file llimage.h. Referenced by LLPreviewTexture::draw(), LLPipeline::renderHighlights(), and LLVOSky::updateTextures(). Definition at line 48 of file llimage.h. Definition at line 49 of file llimage.h. Referenced by LLImageRaw::LLImageRaw(), and LLImageBase::sanityCheck(). Definition at line 41 of file llimage.h. Referenced by LLImageFormatted::calcDiscardLevelBytes(), and LLImageDXT::updateData(). Definition at line 45 of file llimage.h. Definition at line 53 of file llimage.h. Referenced by LLTextureFetchWorker::doWork(), LLTextureFetch::getFetchState(), and LLTextureFetchWorker::insertPacket(). Definition at line 46 of file llimage.h. Definition at line 40 of file llimage.h. Definition at line 44 of file llimage.h. Referenced by LLImageRaw::biasedScaleToPowerOfTwo(), LLImageRaw::contractToPowerOfTwo(), and LLImageRaw::expandToPowerOfTwo().